DIAGNOSTIC FEATURES: Pseudocyphellae; definite isidia; pale undersurface with clear zone at lobe tips; medulla C+ red; compare with P. subrudecta and P. missouriensis which have soredia and P. bolliana, which is NIS. 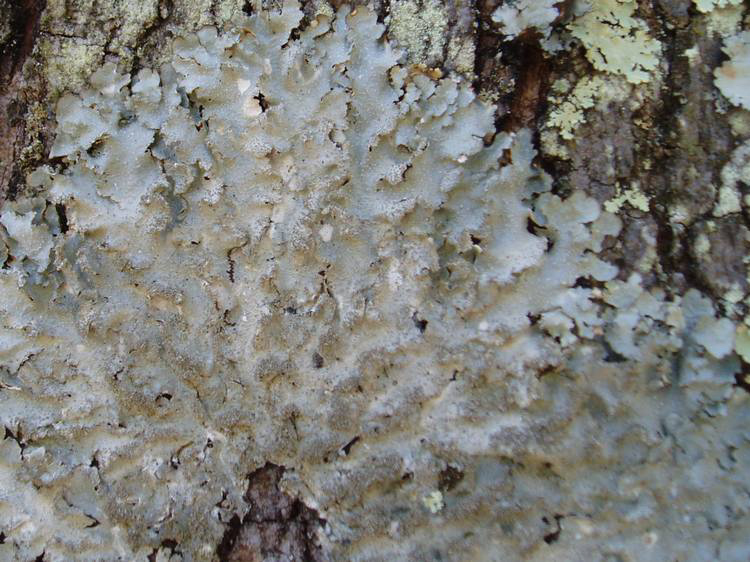 ECOLOGY: Very common in the eastern US on sunny trees and rocks; one of the most common of Ohio’s foliose lichens; probably present in every county. This species is moderately sensitive to air pollution and was previously impacted in parts of northeastern Ohio. With the recently improved air quality, it is recolonizing the area.